The next expansion for the Dungeons and Dragons Online has gone live. This game expansion is considered Update 19 thought the content is considered a full blown expansion and not just an update to Dungeons and Dragons Online. This time players will venture to the prison city of Wheloon and explore the strange mysteries there. The Shadowfel, an alternate plane of existence that runs parallel to the normal material plane, is being manipulated to the evil designs of Shar. 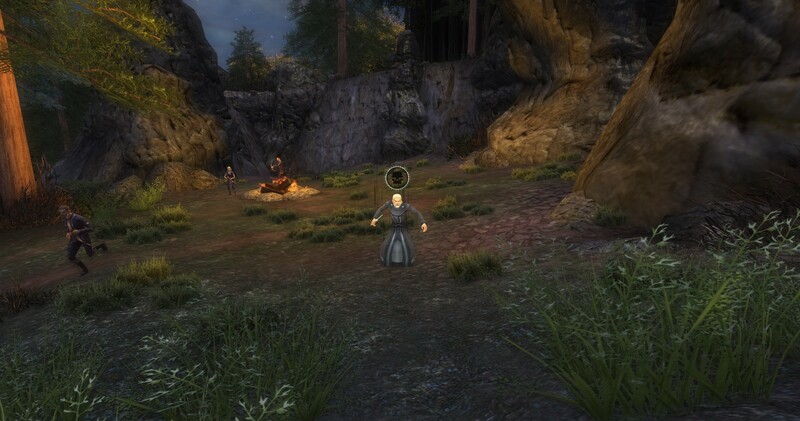 Explore this new Dungeons and Dragons Online expansion/update now! Here are the nitty gritty details and release notes! Menace of the Underdark – this saga is tracked by Lady Azana Winter in Eveningstar (South of The Lonesome Tankard). The game is now much better at determining when you are in or out of combat, so that you don’t appear to stand there idly while getting clubbed over the head by attackers. You are hiding, but the monster’s spot plus all modifiers is sufficient to beat your hiding skill plus all modifiers, or you are within 2 meters and it is facing you. If they are swinging and hitting you but don’t have the icon over their head, they are making blind attacks where they hear you making noise, and you’re making so much running around and getting hit that they can figure out where you are. All red footsteps now only play when a monster actually hears you. If you see the red splash, your position has been given away! It used to play any time you might be heard, but weren’t necessarily actually being heard. The footstep will also be darker and redder the more monsters hear you! Fixed a bug where monsters would re-evaluate their target’s position every time another monster’s missile attack hit anything, giving the monster better awareness of a player’s location than they should. This will now only happen when a character makes the noise. Fixed a bug where monsters would cheat and get their target’s location every 6 seconds or less. Monsters should no longer shoot projectiles directly at targets that they can’t see! The eye icon over your character’s head when sneaking now only shows when a monster is looking at you. Use it to tell when a monster is building its spot bonus, and get out of sight quickly! It’s now possible to walk to, as opposed to only being able to swim to, the harbor lighthouse. While fixing a server crash in Baudry Cartamon’s Interests, we made some other updates to the quest. The quest is now available to play! Not happy with that last chest pull? It’s now possible to use Astral Shards to re-roll the loot in any non-raid chest. Barbarian Rage bonuses to Strength and Constitution are now explicitly marked as bonus type Rage, to make it more explicit that it doesn’t stack with the Bard Warchanter Enhancement: Skaldic Rage. Barbarian Rage should no longer spam “d n t” text to the combat log. The tooltip for for the Primal Avatar’s Natural Shielding passive was displaying a bonus to defensive rating of 10/20/30. The actual bonus granted is 20/40/60. The tooltip has been updated to reflect this. Shadowdancer: Consume’s DC now shows up on the ability and dynamically updates. The Winter/Summer buffs are no longer permanently attached to you, even if you stop being a Season’s Herald. Improved SP costs and cooldown for Season’s Herald Word of Balance and Sunburst Spell-Like Abilities. Some items will now have “Masterful Craftsmanship”, which means they have +1 more value worth of effects than is normally found on an item of that level. Masterful Craftsmanship items are unbound, and use a teal item border. Spell Critical Chance on items has been significantly increased. This is in addition to the 5% Spell Critical chance that is now inherent as part of the “Magical Training” feat that all spellcasting classes automatically receive at level 1. The quest chain “A Man Named Baudry Cartamon” is once again available! Normally each time you repeat a quest, the amount of experience the quest grants decreases. This remains true as of Update 19, although the curve of how much XP deprecates after how many runs as been adjusted. For each repetition of the same quest, the deprecation is 20%. Quest XP deprecation from repetition now bottoms out at 20% instead of 10%. Typing /ransack into your Chat Log will show you the ransack levels of the quests that you’ve played. A number of stuck spots have been fixed in House Phiarlan, The Underdark, Druid’s Deep, and the Harbor. “Demolition Charges” in applicable quests can now be placed faster by Rogues with the Improved Traps enhancement. The “eye level” trying to show light level over a sneaking player’s head has been removed. One eye may appear over your character, indicating that a monster is looking at you while you are sneaking. The longer it looks at you, the higher its spot bonus gets. If you hide/sneak in front of monsters for too long, they will eventually see you! “Red footsteps” now only appear when a monster actually hears you while you are sneaking. If you see the “red splash”, your position has been given away! Fixed a bug where some monsters would freeze and be unable to even do ranged attacks or cast spells at their target if the target couldn’t be walked to. Also fixed lag and slow behavior associated with the monsters who couldn’t handle their target being un-reachable. Dispel Magic, Greater Dispel Magic, and Mordenkainen’s Disjuction tool tips now explain how they work on Spell Wards. Fixed an issue in the LFM where the “public” option was colliding with the “Hide Content I Don’t Own” button, preventing it from working. I am certainly looking forward to the new DDO game changes. Make sure to read up on everything that has changed because there are a ton of changes in this new expansion, Shadowfell Consipracy, for Dungeons and Dragons Online.